We have a perfect multifunctional meeting spaces in a Old Malthouse available to hire. 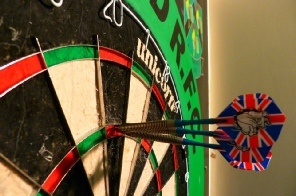 Our venue is conveniently situated on the A479, with good connections to South Wales & the Herefordshire borders. There is a large function room that can cater for parties / celebrations, work dinners, meetings, training courses, charity events & sports classes - this is a versatile space with ample free car parking, catering, additional staging & internet available. 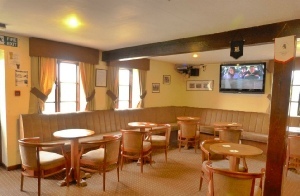 If a smaller more intimate space is what you need we have smaller rooms available too. Take a look at our photo's below & if you would like any further information please get in touch. We held a large event called Worthy Wednesday at the club last year. There were international rugby players and referees present. The club managed everything from advertising the event, arranging timings, setting out the room, food etc. The staff couldn't do enough for us. Along with the guest speakers I invited other customers and everyone had a great evening. The room looked great and we had about 150 people there. Most importantly for us the beer and the service were second to none which isn't easy when you have that amount of people. I would recommend the club to anyone who is looking to hold a successful, well run event. We were very pleased with all the arrangements made at the Club, Aimie was very helpful and the food was very good, please thank them all. We have held a number of meetings at Gwernyfed Rugby club over the past few years and we have always been very impressed and very pleased with the facilities and excellent refreshments provided by the club and also the help given by manager Aimie Lloyd. The club is easily accessible and there is ample parking available on site & we will definitely be holding more meetings there this year, and can recommend that other local businesses would benefit from using the club's facilities. 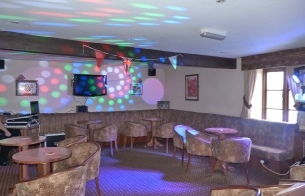 I have used Gwernyfed Rfc function room on many occasions from 21st's & 50th parties to Charity nights. Its an excellent place to use for any of these types of events as everything you need is there and the bar staff are always very happy and helpful which means a lot! All went very well, we have used the Clubhouse on many occasions over the past few years and your helpfulness & assistance is very much appreciated.